This is a new edition of this classic book which includes, in its over 700 postcards, many new, powerful propaganda images from nations on both sides of this epic conflict. Here are cards from the Queen's Collection, cards from America, Australia, Austria, Belgium, Britain, Bulgaria, Canada, Czechoslovakia, Egypt, France, Germany, Holland, Italy, Rumania, Salonika, Serbia... All are faithfully reproduced from the original, whether in dramatic black and white or in exuberant color and they are all at least 100 years old. But this is not just a picture book. 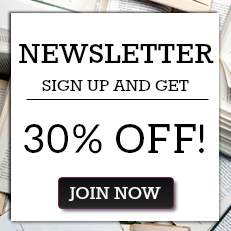 Here is a rich treasure trove to be dipped into for dilettante pleasure or to be read seriously as a thematic and contemporary history of the war. These cards have been collected over many years and a good number are rare and extremely valuable, both intrinsically and for the fascinating information contained in the informative running text and in the thoughtful captions (an example appears below, just one of the over 700). This is essential reading for anyone who wishes to sense the feelings and emotions of those who lived through, and fought in, the First World War; readers will appreciate the Twitter-like brevity of the captions, the power of the images and enjoy the chase to understand what lies behind them. 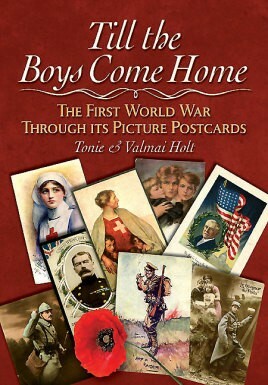 This handsome and fascinating book uses hundreds of the immensely popular picture postcards of the '14-'18 period to document the course and effects of the Great War, with all its dramatis personae, its humor, suffering, patriotism, sentimentality and fervor.